The meetings between members of US President Donald Trump’s presidential transition team and foreign officials are not uncommon and are part of standard procedure, former US Secretary of State Condoleezza Rice said in an interview on Monday. WASHINGTON (Sputnik) — Former Acting Attorney General Sally Yates is scheduled to testify on Monday afternoon in front of the Senate Judiciary Committee as part of an ongoing investigation into Russia’s alleged interference in the US election and ties between Moscow and the Trump administration. "It is not unusual to meet with foreign dignitaries [and] ambassadors when you're in transition. That's not unusual at all," Rice told the CBS broadcaster. 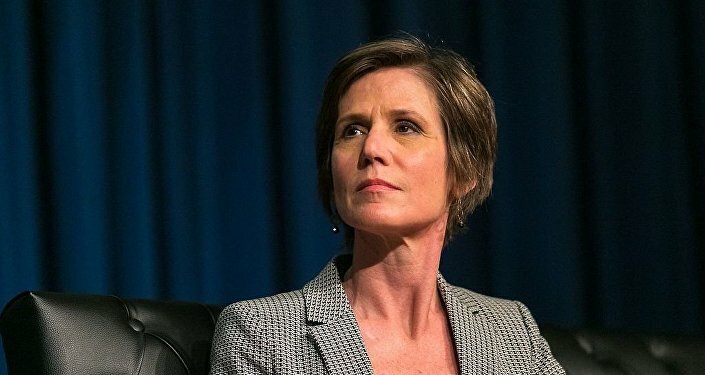 Yates is expected to give her account of the warnings she reportedly gave to the White House regarding former National security Advisor Michael Flynn's conversations with the Russian Ambassador to the United States, Sergey Kislyak. Flynn resigned in February after it was revealed he misled White House officials, including Vice President Mike Pence, about the extent of his talks with Russian officials. His communications with Kislyak ahead of Trump’s inauguration are the subject of several Congressional investigations.